It’s a rainy day here in Eastern Pennsylvania. It’s day for The Boyfriend to work on work stuffs. I figured I’d be a little productive as well. (Modern Romance, eh?) Yay Blogging! And as we all know, a blogger is gonna blog. Since, my adventures into the QVC World, I have walked by and talked to some highly known owner/representatives of our favorite beauty brands. I try not to fangirl, keep my composure and speak in intelligible sentences. One of these people is Doris Dalton. The Founder of Doll 10. She is a dynamo. Incredibly energetic and driven. And funny. It took me a couple times of seeing her at QVC to speak to her. When I finally did. She and I had a very rapid fire conversation and she handed me a box. 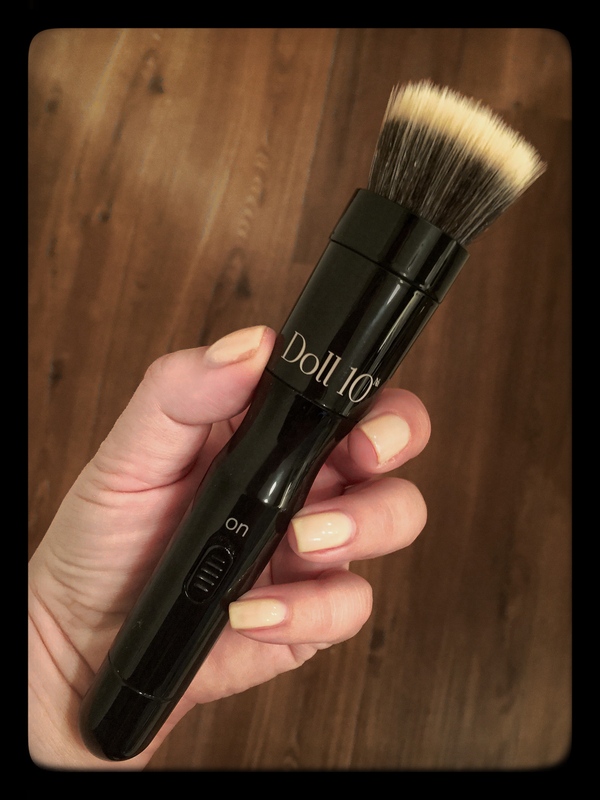 With the freaking BlendSmart Rotating Brush in it! They had just sold out on The Q that night. It’s brush with a lithium-ion battery? When you take it out of the box, it easily clicks together. And you are ready to blend, blend blend. It’s well made. Light, but study in the hand. Comfortable, too. These things are important to me. I have, Spaz Hands, as The Boyfriend likes to call them. I’ve tried it out with creams, liquids and powders. It’s just works. It gently buffs bases into the skin beautifully. It even tackles cream blushes like a dream. I’m sure you are looking at this and asking, Really? Yes, really. It’s full of magic. Doll 10 Magic, apparently. 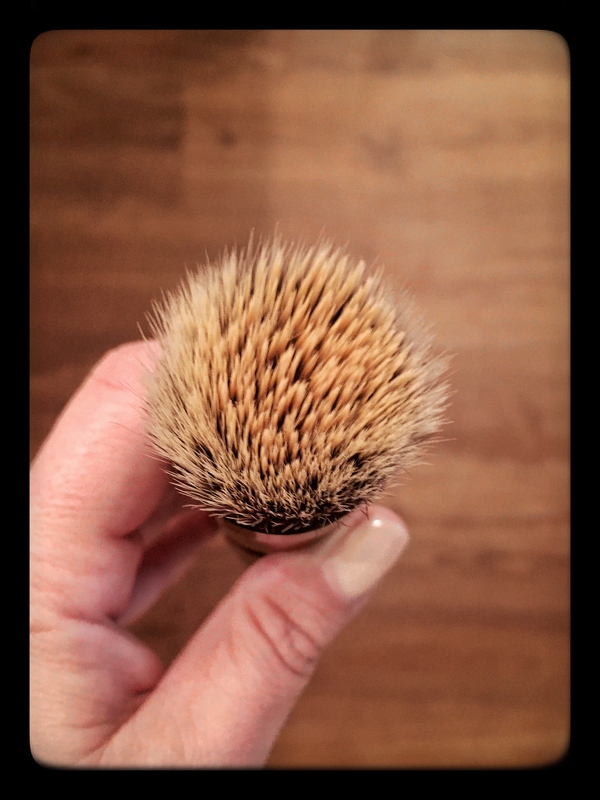 It might sound weird, but I feel I’ve used less product with this brush. I’ve cleaned it a couple times and I’ve had no shedding whatsoever. I’ve traveled with it for the last three months and it has stood up. The battery is still running strong as well. 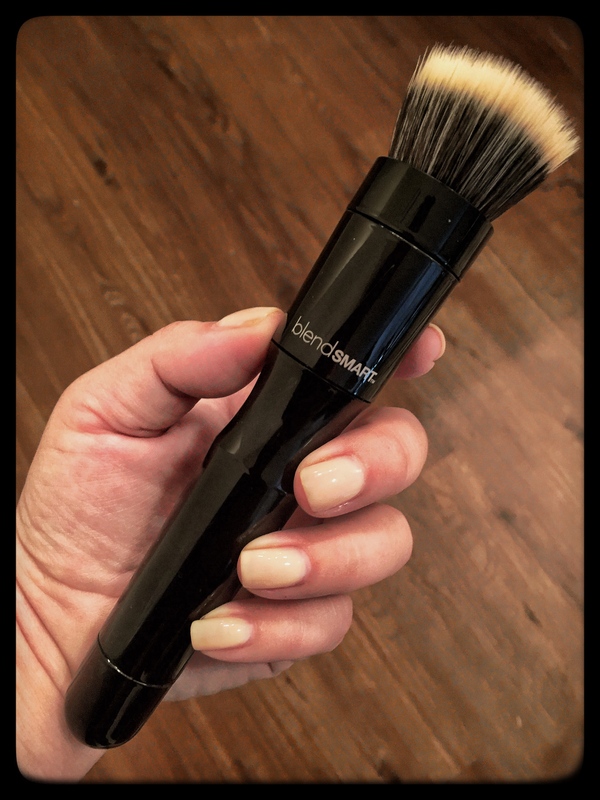 This is a fun, innovative beauty tool. Can’t wait to see what else is up the Doll 10 sleeves.